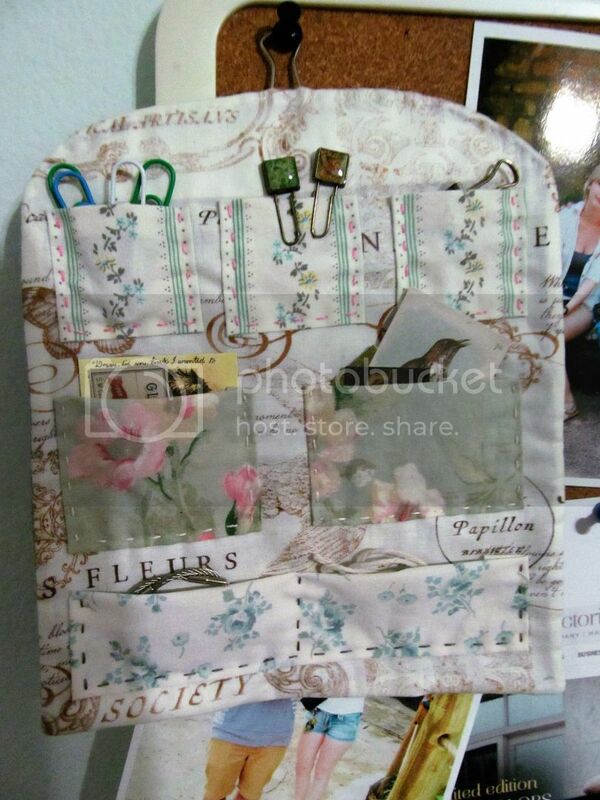 Yesterday's journal entry is online (click here to view the .pdf), and it begins with a miniature I made of my office organizer idea (which didn't scan well, so I snapped a pic to go with this post.) Before I commit a lot of fabric to any project I usually make a little practice version to test out placement, materials and so forth. I'm going to replace the actual miniature in my journal with a printout of the photo, some fabric swatches and measurements once I have time to do all that. Going to the city ate up a lot of my time. Since Father's Day is on the horizon I also talked about my dad, and while I got a little teary I think I'm finally coming to terms with losing him. Cooking helps a lot; he's always in my kitchen in spirit, I think. Regarding my blues, we always say "He wouldn't want you to be unhappy" as a comfort thing, but until this year I really didn't think about how much Dad would hate me feeling miserable about his passing. So while I was in the city I channeled him, found a neat gift plus a cute card for the father of my kids, and felt better for it. I meant to write bullet lists in my journal to illustrate today's post, but that's the thing about journals -- you write what you need to write on that day, and I needed to talk about Dad. While I do try to stay upbeat, I don't always succeed. There are no journal police; you can write whatever you like on your pages. If it's something you don't want to save, rip them out and trash or burn them. But just getting those thoughts down in my journal was calming and cleansing. Now I can enjoy my weekend with my kids' dad and not have to carry around the sadness over my father while I do. 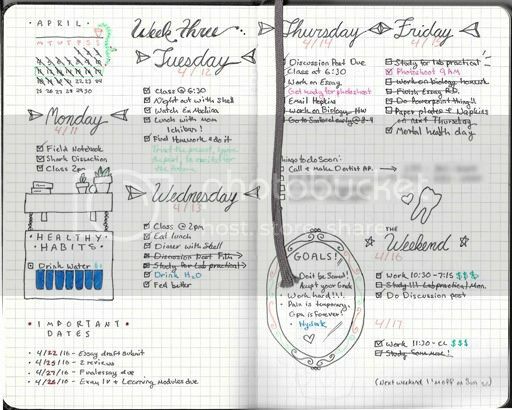 A bullet journal, which is best described as a running to-do list that helps keep her organized with work, school, events, etc., can be a neat alternative to traditional journaling. This approach is very popular among young people like my daughter who journal. I admire her illustrations, and the little motivational notes she writes to herself -- those make the pages fun. She also has an interesting way of tracking her health goals, such as drawing glasses or apples and then coloring them in as she drinks water or eats some fruit. Since she's very organized (sometimes even more so than me) I'd say it works. Bullet Journal from Ryder on Vimeo. 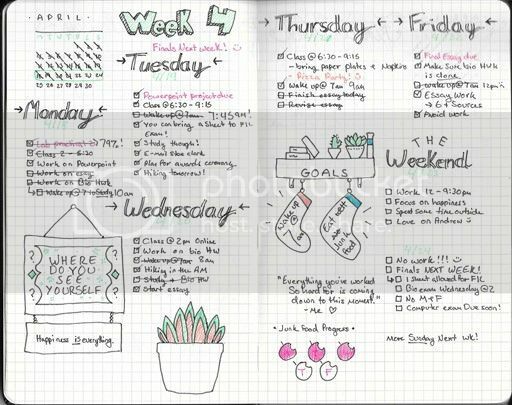 I do a 'modified' bullet journal for my daily planner and love doing it. I don't do the illustrations like your daughter though. Wow - that's beautiful. My lists and my journaling live side by side in cheap spiral bound single subject notebooks I buy at Staples by the dozen. I think part of the reason I don't use expensive journals and fancy pens is that my handwriting is so terrible, I get intimidated when trying to use them. I do know all about writing what needs to be written. I have whole notebooks I probably will never read through again, filled when my parents were dying. They are filled with my raw emotions, lines of poetry, and to do lists with doctor's phone numbers and errands. The story of my life, during those difficult times. I've always felt the power in journaling was in helping me organize and emotionally process my thoughts. I use my blog that way to some extent, as well.